Alibaba’s purchase of the South China Morning Post, unveiled on Friday, is an old headline with a new twist. Jack Ma, the founder of the $210 billion Chinese e-commerce behemoth, is following in the footsteps of countless tycoons – including previous SCMP owners Robert Kuok and Rupert Murdoch – seeking to wield influence in the press. Ma is co-opting Alibaba’s public shareholders to lend him a hand buying an asset with no clear fit. The deal is just another example of the e-commerce giant’s mission creep, which has included stakes in a soccer club and a movie studio. Joseph Tsai, Alibaba’s executive vice chairman, said that the company’s reason for buying the Hong Kong English-language newspaper was because the Middle Kingdom’s rise is “too important for there to be a singular thesis.” He told the SCMP that editors, not the owner, would control editorial policy, but added that Alibaba wanted “objective and fair” coverage and felt it had been subjected to a lot of negative stories in the media. Yet having a new proprietor with huge business interests in mainland China will only complicate the paper’s ability to report objectively on the world’s second-largest economy, never mind on Alibaba itself. The e-commerce group is involving itself in media elsewhere, too: It said in June that it had agreed with Shanghai Media Group to invest $194 million in the latter’s China Business News unit. A haze also hangs over the purchase price, which was not disclosed. Breakingviews calculated on Nov. 25 that the SCMP could be worth $373 million, applying the same 17 times EBITDA multiple as Amazon founder Jeff Bezos paid in his $250 million personal acquisition of the Washington Post. Any valuation effort is, however, clouded by Alibaba’s intention to scrap the SCMP’s online paywall. Perhaps above all, the SCMP purchase shines one more spotlight on Alibaba’s head-scratching acquisitions. Add a newspaper to a roster which, as well as sports and movies, includes interests in an appliance maker and department stores. Investors could use an investigative article that explains it all. Alibaba Group said on Dec. 11 it will acquire the South China Morning Post and related magazines, conferences and other assets. 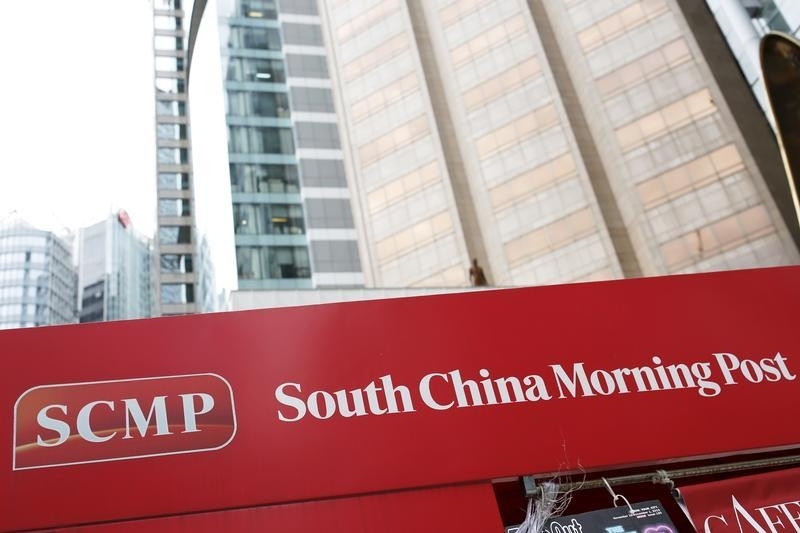 The SCMP Group has been controlled by Malaysian businessman Robert Kuok. Financial terms were not disclosed.